Having trouble getting your landlord to take care of issues or make repairs? Here are a few things that you might be able to do to get things resolved. 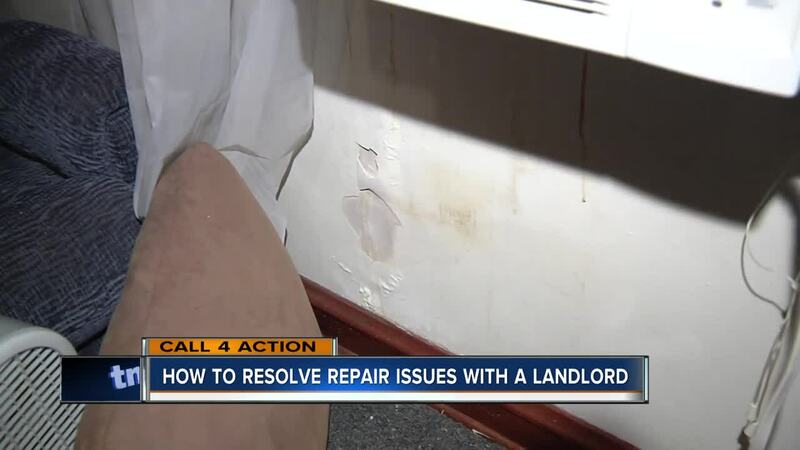 MILWAUKEE — Having trouble getting your landlord to take care of issues or make repairs? Here are a few things that you might be able to do to get things resolved. If you notice a problem or something that needs to be repaired, it is a good idea to notify the landlord in writing as soon as possible. Keep a copy of the notice and proof that it was provided. Most landlords are good about addressing issues in a timely manner. But not all landlords are responsive. Sometimes there are circumstances that may delay a resolution. But, if your landlord does not take care of an issue, you have allowed ample time with no response or action, and the situation creates a health or safety issue, you may want to reach out to your city’s building or health inspector, or department of neighborhood services. Although you may be tempted to withhold paying rent or move out, do not do this without seeking proper legal advice. If you fail to pay rent, you could be evicted. If you break the lease without taking proper legal steps, you could get hit with additional rent and the landlord’s legal expenses.